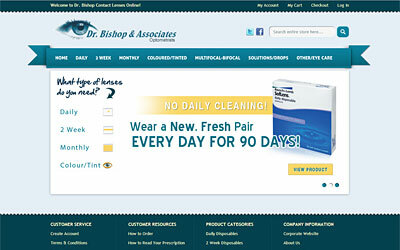 http://store.drbishop.com Working closely with Dr. Bishop, we have developed a customized e-commerce website that allows our client to utulize a complex and detailed ordering system. This custom ordering system was put in place because the store offers perscription and non-perscription contact lenses and other optometry related products that require specific information to be processed for each order. Dr. Bishop & Associates licensed Doctors of Optometry have been proudly serving the Calgary community for over 25 years! Their expertly trained Optometrists provide quality eye care for the whole family using the latest and most advanced technologies available. They provide eye care such as comprehensive eye examinations, diagnosis of serious eye diseases, children's vision care, and laser eye assessments. Dr. Bishop & Associates are located in Northeast, Northwest, and Southwest Calgary in Marlborough Mall, Northland Village Mall, and Southcentre Mall. All 3 offices in Calgary are interconnected electronically so your history is accessible to any optometrist you see. For your convenience their offices are open mall hours 7 days a week. Consumer Choice Winners 2 Years in a Row! Blue Ocean Interactive Marketing is very excited to announce for the second year in a row we are the Calgary Internet & Web Design Consumer Choice Award winners! Blue Ocean is determined make 2013 another big year and grow its success to become the premier Interactive Marketing company in Western Canada. 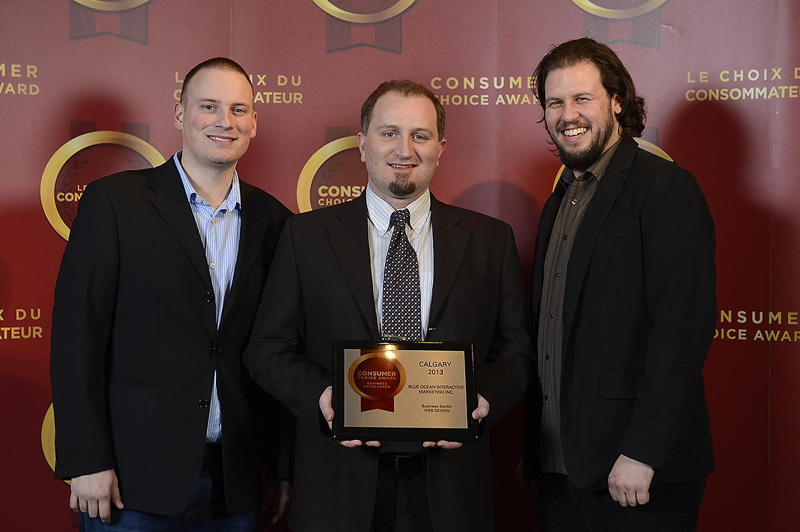 Each year across Canada, Consumer Choice Award gathers the opinions, perceptions and expectations through the responses of thousands of consumers and businesses. Established in 1987, the selection process has been perfected with a third party research firm to ensure that only the most outstanding service providers are the winners within an industry. This is the only organization in North America to recognize business excellence by conducting a research that surveys both the consumer & business community with statistical accuracy. The research method determines all service providers, ultimately selects the top ranked companies, and establishes the winner within each industry. Acre Prime has officially launched! Acre Prime Inc. is an amalgamation of Acre Landscaping and Prime Land Services based in Calgary, Alberta, both had similar services but specialized in their own way. By combining their industry experience, Acre Prime is highly qualified in all fields of Landscaping, Erosion Control, Excavating, and Land Reclamation. Even though Acre Prime Inc. is a new business partnership, the people behind it have been operating since the 1960's and has always been a family owned and operated business for 3 generations. This is how Acre Prime can deliver oustanding customer service for a wide variety of projects.